Substantially rewritten to focus on inquiry teaching and learning as espoused in the National Science Education Standards, the new edition of Science in Elementary Education: Methods, Concepts, and Inquiries will prepare pre-service teachers to plan, facilitate, adapt, and assess inquiry experiences consistent with today’s science classroom. It accomplishes this by implementing the 6E model of inquiry teaching, addressing the planning and needs of inquiry teaching classrooms, and describing the materials teachers need to get up and running. 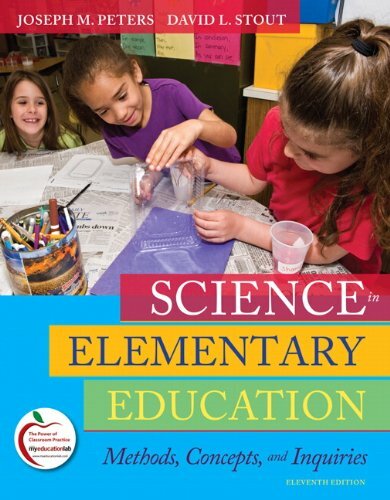 This practical text includes over 350 Teaching Tips throughout and Twelve Inquiry Units that model constructivist applications, build conceptual knowledge, and provide a bank of classroom-tested lessons to use in science classrooms.